Emotron MSF017. Softastarter for motors of 11 KW. Emotron MSF030. Softastarter for motors of 18 KW. Emotron MSF085. Softastarter for motors of 45 KW. Universal industrial drives with IP54 and power 1,5 kW, 4A. Universal industrial drives with IP54 and power 3 kW, 7,5A. Universal industrial drives with IP54 power at heavy load 30kW, 61A. Universal industrial drives with IP54 power at heavy load 37kW, 74A. 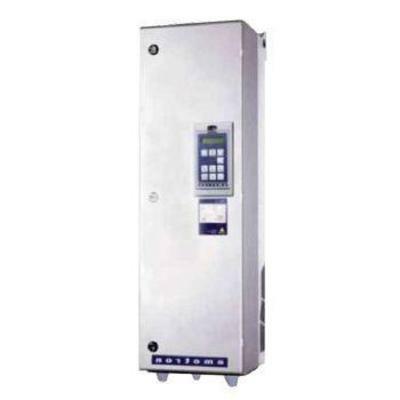 Universal industrial drives with IP54 power 132kW, 250A. The company has been on the market for over 30 years constantly improving and introducing innovations. Currently, there are production sites in Helsingborg (Swiss) and Bladel (Netherlands). FREQUENCY CONVERTERS FOR MOTOR CONTROL. Emotron drives offer complete control of your process and guarantee a reliable, effective in a cost and easy for use equipment. Control of equipment with frequency-controlled speed gives significant energy savings. Your equipment is optimized and protected from a damage and time of idle operation. Emotron drives are developed for different applications and offer solutions for pumping application, compressors, machine-tools, lifting faucets, elevators, crushers, factories, mixers and others. Whether you want to hold permanent pressure or control dynamic processes in industry, you will find an answer for your question in complete suggestion of Emotron equipment. 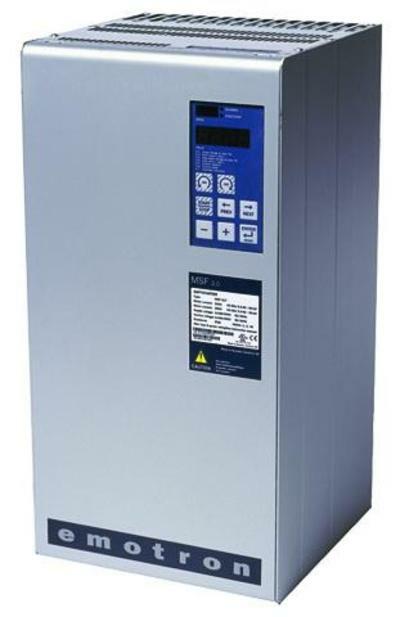 - FDU 2.0 Series up to 3000 kW. For pumps and fans. - VFX 2.0 series up to 3000 kW. For highly dynamic mechanisms. 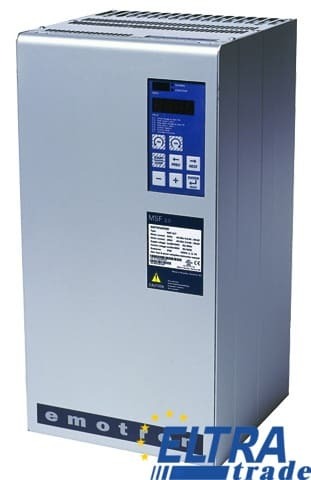 - VSA/VSC series up to 7,5 kW. For engines of small capacity. - EMOTRON CDU/CDX. Integrated in the motor speed controller. EQUIPMENT FOR CONTROL AND PROTECTION. 1. SOFT STARTERS FOR ELECTRIC MOTORS. In spite of compactness of Emotron soft starters (devices of the smooth starting) they give the complete set of functions of starting/stop control, defense, measuring, diagnostics and connection for your drive. Emotron soft starters does unnecessary additional devices, such as temperature relays, measuring devices, which in turn reduces the number of components of the system, reduces the space for mounting and simplifies the service. All these properties result in the decline of expenses on setting and service. Device of the smooth starting of Emotron are simple in the use, as it is required to set only nine parameters in the menu of the "rapid setting". - MSF 2.0 series (for motors up to 1600 kW). 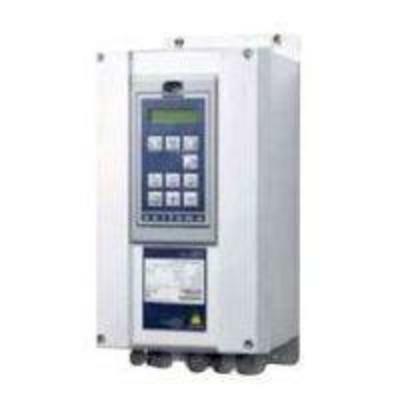 - ES series (for motors up to 22 kW). 2. THE POWER CONTROL DEVICES AND MOTOR PROTECTION. - Controller of electric motors power M20 (for different mechanisms). - P and PF-R series (for 3-phase asynchronous motors). 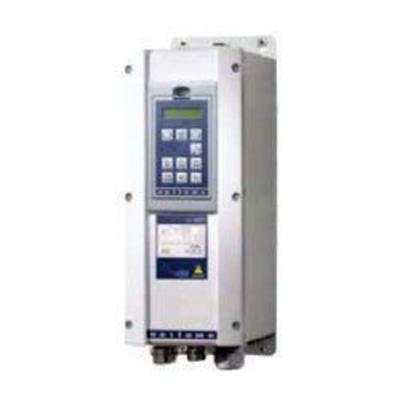 - PS-R series (for single-phase motors pumps).